Bennett et al. 2018 is an attempt to make value of information (VOI) theory more practical. While still theoretical, they show how to apply VOI theory across multiple "management units." In each unit, the model compares two choices: acting with existing imperfect information, or doing more monitoring to support decision making. The revised model is a step forward, and I also enjoyed the discussion of limitations. For example, they mention that their model is risk neutral, which is often not the case with real decision makers. As we approach a major holiday season in the U.S., many people celebrate with alcohol. Xie et al. 2018 has a dire warning from the ghost of Christmas future: climate change may reduce barley yields (3-17%) and beer supply while driving up prices. Essentially they predict worsening drought and extreme heat will reduce barley production, and that during extreme years barley for beer will be reduced in favor of livestock feed and direct consumption. See Figure 3 for a nice summary of patterns of barley use by country now and under climate change. Some important limits: they don't predict future demand for beer (likely to increase), and they don't look at adaptation (e.g. making more beer w/ rice and corn as some major brewers do already, improved seed genetics, etc.). These caveats reinforce my skepticism of some predictions such as the price of beer in Ireland almost doubling (it's hard to imagine that could happen without a strong adaptive response). Nonetheless, most science predicting future food demand and supply focuses more on staples than luxuries, and this is an interesting twist. Fargione, J. E., Bassett, S., Boucher, T., Bridgham, S. D., Conant, R. T., Cook-patton, S. C., … Griscom, B. W. (2018). Natural climate solutions for the United States. Science Advances, 4(November). Also for anyone attending TNC's Global Science Gathering in Houston - let me know if you'd like to join for a side meeting for scientists working on sustainable agriculture. The Nature Conservancy has recently shifted priorities away from land protection in general, to focusing on larger areas (to reduce fragmentation and improve resilience). Armsworth et al. 2018 asks how that focus affects the ecological return on investment (ROI). They found that larger areas are the most efficient way to improve connectivity and reduce fragmentation, offering 2-3 times the ecological return compared to small sites (TNC can buy properties that are 10x the size for just 5x the cost). However, smaller areas offer 5-8 times the ecological ROI for the number of species protected. Optimizing for species persistence rather than simply presence again favors larger areas (although the authors caution that this finding may be an artefact). These findings aren't surprising, but they are an important reminder that protecting some small areas will likely be important to protect endemic species. Pretty et al. 2018 has good news - they show improvements in global implementation of several forms of sustainable agricultural practices. They focus on practices that they see as representing "redesign" of agriculture as part of sustainable intensification or "SI" (offering yield and environmental benefits). This includes integrated pest management (IPM), conservation agriculture / soil health practices, and several others. They find some form of "SI" practices on 29% of global farms covering 9% of global agricultural land (crop and pasture). This shows progress is being made (although much remains to do). However, one caveat is not apparent in the paper: they define these practices as inherently intensifying or yield-promoting, but do NOT filter on farms where actual increases in yield have been measured. That's important as each of these practices has the potential to boost or reduce yield depending on how it's implemented, so it's unlikely that all of these farms actually represent true sustainable intensification. The lead author told me in a message that in developing nations would always be "win-win," and in more industrialized countries environmental benefits improved but yields could go up or down or stay the same. Two recent papers (both Daryanto et al. 2017) find that no-till (NT) farming can increase the loss of nutrients under some conditions. They found that NT often increases loss of nitrate (NO3-) - generally there is similar or less runoff, but more leaching. But results vary across soil textures, climate, and crop management. Seifert et al. 2018 has two parts: a remote sensing method to detect cover crops, and an analysis of their impact on crop yields. For remote sensing, "accuracy" is complicated but their method correctly identified whether or not cover crops were present 92% of the time, which is 68% better than expected by chance alone. They relied on readily available data, so this method should be applicable elsewhere. The second piece is that they found cover crops are grown on poor performing field (presumably in an effort to improve soils as they tended to be on poor soils). After a year of cover cropping corn yields went up on average by 0.65%, and soy by 0.35%, but read the results on p6 as there's a lot of variation (from long term cover crops reducing yields, or only improving after several years, etc., varying by state and crop). Hopefully making it easier to detect cover crops will improve our ability to understand their impacts. If you've ever done remote sensing work in the tropics, you've noticed that you often want imagery when plants are growing, aka the rainy season when clouds limit available imagery. Pedraza et al. 2018 (from several TNC colleagues and their partners) uses radar data (ALOS PALSAR, which can see through clouds) to look for farm-level deforestation in Colombia. It worked reasonably well, mostly between 62% and 100% accurate: see table 4, focusing on user and producer accuracy as overally accuracy is skewed by the high proportion of nonforest. They found that accuracy was lower in dry forests and mountainous terrain, although they improved it by integrating some optical data. It's a useful paper for anyone looking at integrating radar data for tropical remote sensing. Here is a short set of articles on potato cultivation, groundwater, and cattle and rangelands. Drakopolous et al. 2016 found that reduced tillage for potatoes led to 13% lower yields (smaller tubers) but also led to higher quality and nitrogen efficiency. The quality boost wasn't enough to offset yield loss and result in net economic benefit from reduced tillage. Myrick 2016 is a masters thesis investigating adoption (and abandonment) of a potato variety resistant to late blight (C-88) in Yunnan, China. They found smaller farmers and those closer to cities were less likely to grow it, although they noted access to seed is very limited so decisions may largely be driven by which varieties extension agents promote. The appendix has some interesting (and at times, conflicting) data on farmer perceptions. Jasechko et al. 2017 makes two important points about groundwater. The first is that between 42-85% of groundwater in the upper 1 km of the ground is over 12,000 years old, as is more than half the water pumped from deeper than 250m (highlighting challenges with pumping out "fossil" water which will be very slow to recharge). The other is that while the water is very old, half of the wells showed contamination with tritium (a radioactive isotope mostly present in the environment from nuclear weapons and testing, showing relatively recent contamination). In other words, groundwater which took millennia to recharge and get clean is being contaminated more rapidly. Reeves and Baggett 2014 developed a relatively simple way to assess rangeland degradation using remote sensing. Essentially they compare rangelands to reference conditions (all rangelands within similar ecological classifications), and found relatively little degradation (with degradation trends almost undetectable). They list several reasons for this in the discussion, but from other work in this space I've read it seems that estimating grassland productivity and degradation remotely is fundamentally challenging and limited (especially without field data to calibrate on), and NDVI is not an ideal tool for grasslands for several reasons. Caution could be taken before assuming relatively simple remote sensing estimates of grassland condition are accurate and actionable. Reeves et al. 2017 predicts how climate change will affect cattle in the western U.S., considering forage (quantity, interannual variability, and vegetation types) and hear stress. They expect more forage in the north, less woody plants and more grass (in general), more variation in forage quantity year to year, and more heat sress (starting 2020-2030), which taken together means more vulnerability of cattle in most places (especially in the Southwest). In northern areas, the impacts of heat stress are expected to offset the benefits of more forage (with some exceptions). The two top maps in Figure 3 has a good summary of net impacts on cattle by 2060 and 2100, with yellow to red indicating negative effects, and green to blue indicating positive ones. Myrick, S. N. B. (2016). An Economic Impact Assessment of Cooperation-88 Potato Variety in the Yunnan Province of China. Virginia Polytechnic Institute and State University. This is the 50th of these science summaries, and somehow I am still not caught up with all the interesting papers I have! For that occasion, I'm tackling a number of papers that didn't group nicely but still looked relevant. So there are papers on GMOs, fertilization and nitrogen fixation, food security, and Chinese ag. labels may affect consumer beliefs. Cheke 2018 is a commentary on how the use of pest control traits by GM crops can have unintended side-effects, just as traditional chemical pesticide use can. He presents brief interesting case studies, and essentially argues that we need long-term monitoring data to understand how novel forms of pest control impact target pests, non-target pests, and natural predators of pests. To be clear, this isn't an anti-GM paper, it just notes that switching from aerial sprays to toxins within the plant may have unintended consequences. See Zhang et al. 2018 under Chinese Agriculture below for more detail on Bt cotton as a case study. Hasegawa et al. 2018 is an analysis of how climate mitigation may impact food security. They find that climate mitigation may cause more hunger than the direct effects of climate change. Livestock in particular would be more expensive (given higher GHG emissions and land use). The primary drivers would be food price increases driven by: tax on GHG emissions, higher land rents if ag expansion is slowed, and land competition by biofuel. However, this outcome isn't inevitable if policy is crafted more carefully. For example, a tax focused on animal products could drive a shift to producing more food consumable directly by humans, and revenue could be used for food aid. The key questions are thinking about who will bear the costs of implementation, and how it may affect food prices and thus food security for poor people in particular. so we don't lose potentially useful varities like this! See https://news.wisc.edu/corn-that-acquires-its-own-nitrogen-identified-reducing-need-for-fertilizer/ for a blog post on this research. Given how much research there is on trying to get crops to fix their own nitrogen, the finding by Griesmann et al. 2018 that many plants have lost the ability to fix N blew my mind. By comparing genomes of N-fixing plants to those that don't, they were able to find that ~3/4 of the species in their sample that didn't fix N had an ancestor that could! They suggest that the fact this ability has been lost multiple times reflects that plants spend a lot of energy to support N fixation, and that when N levels are adequate in the soil they eventually can lose the ability to fix it. In other words, as we try to engineer plants to fix their own N, it's worth reflecting on the costs that may have led plants in the past to reject this evolutionary path. Chen et al. 2018 takes a different approach to improving fertilizer use in ag. They provide a review of possible ways to improve the environmental impacts of making chemical nitrogenous fertilizer. Currently the Haber-Bosch process relies on methane, so getting hydrogen from water instead could have many benefits if the higher energy cost can be overcome. This is a pretty technical paper but the first page is an overview that is much more accessible and introduces the possibilities. Zuo et al 2018 is a nice dense analysis of how Chinese agriculture has changed over the past ~20 years, focusing on crop yield and five environmental indicators (irrigation water, excess N, excess P, land use, and GHGs). While total crop calories produced increased by 66% (with only 1% more net land use), and environmental intensity (impact per calorie) went down, the total environmental impact still worsened quite a bit. This is a common challenge in sustainable intensification - it's often relatively easy to boost yields, but challenging to reduce actual impacts to the environment at the same time. The authors also note that urbanization has pushed cropland to more marginal and water-scarce areas, and future shifts in cropland may pose further challenges. This is worth reading in its entirety for anyone working in Chinese ag, but Table 1 summarizes the changes well, and Figure 3 is an intriguing map with potential priority areas to focus on different indicators. costs) and improve their sustainability. 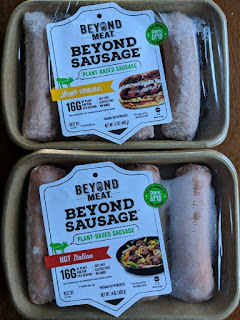 It's grilling season (at least in the US), and lately I've been getting lots of articles about animal protein and sustainability. Some are on the impact of animal foods and how much we can sustainably consume, and others are on the details of livestock management and production. There's also one paper finding that agricultural intensification has rarely led to positive outcomes for both humans and the environment. 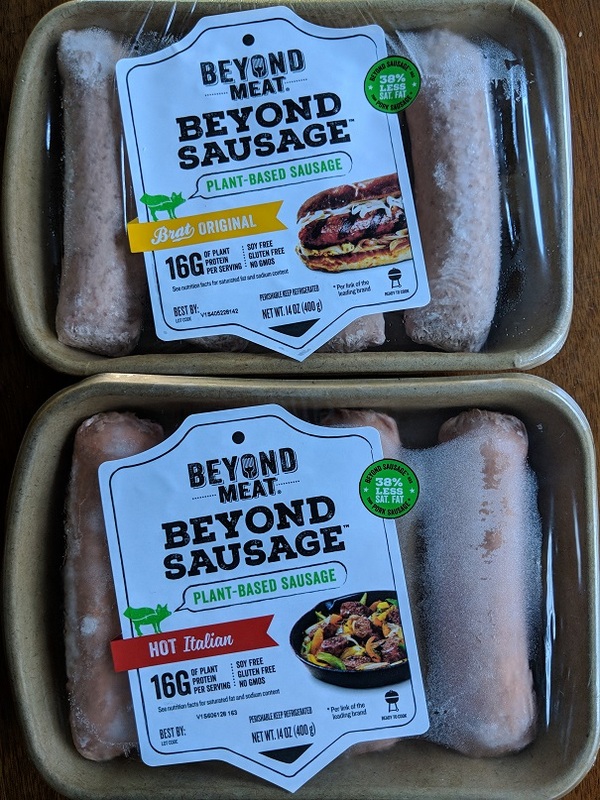 Incidentally, the photo above is of a new plant-based sausage that's good enough to be selling out within hours whenever they're stocked! VanZanten et al. 2018 is a really thoughtful paper that takes a refreshing approach to looking at the environmental impact of animal foods in our diet. They note that while using arable land to feed livestock (rather than directly feeding humans) is inherently inefficient, there are some grasslands, food waste, and food by-products like distillers grains that humans can't eat. So to minimize land used to feed the world, ~10% of calories (& ~1/3 of protein needed) could come from animal foods. Fig 4 shows how animal consumption in different regions compares to the protein goal, and Fig 5 shows a similar breakdown for calories and other nutrients. They cover how different animals fit in (e.g. ruminants for grasslands, pigs for food waste, etc. ), noted that GHGs are still higher in their scenario than an all-vegan diet, and cover several interesting caveats and twists. One thing they didn't mention - some of the underlying studies have a large role for milk, which people have trouble digesting in many places around the world. But is is a really well done paper and I highly recommend it. Mottet et al. 2017 also looks at how much animal food relies on food humans can't eat, although it's more optimistic about the impact of livestock than most similar studies. They make several interesting points like the utility of livestock as draught animals and providing manure for crops, as well as estimating that globally only 2.8-3.2 kg of human edible feed is needed to produce 1 kg of meat (2.8 for ruminants like cows, 3.2 for monogastrics like chicken and pigs). Those numbers are lower than what's usually cited but I don't think I've seen it calculated only for the human edible fraction of feed. Poore and Nemecek is a useful comprehensive global reference on the impact of different foods and diets (and how consumers and producers can reduce those impacts) but it's dense and somewhat hard to read and unpack. They note several opportunities to improve on the production side, but also that animal foods are much higher impact than similar plant foods, arguing consumer diet choice is a key part of sustainability. They call for better systems to measure and communicate about sustainability to consumers. Two things to watch out for: when they say even the lowest impact animal foods are higher impact than plant substitutes, they exclude tree nuts, and in the figures with tons of little charts and graphs note that the scale of the axes changes often. Godfray et al. 2018 is a nice summary of recent and predicted trends in meat consumption, plus impacts on human health and the environment. They conclude with thoughts about possible ways to shift diets to counteract the growth in demand for animal foods (with Denmark's saturated fat tax one real world example). There's no big new message here, but lots of good tidbits sprinkled throughout and it covers quite a few related topics. I found two figures especially interesting - 1c shows the potential impact of a carbon tax on the price and consumption of different animal foods, and 3a shows the current and projected 2050 allocation of ag GHGs by food type (both plant and animal). Rasmussen et al. 2018 is a global review of whether or not agricultural intensification is good for both people and the environment. While they find income and food production generally go up, ecosystem services go down in most cases. The figures have great summaries of results by geography, by metric of ecosystem services or human well being, and by separating 'win-win' cases from 'lose-lose' and mixed results in different contexts. The specific case studies are very interesting and thought provoking. Surprisingly, increased inputs were more likely to lead to win-win outcomes, with crop changes as reduced fallow more likely to lead to lose-lose. This is a relatively understudied area (this paper summarizes 53 studies) given the importance of intensification strategies; the lack of evidence for consistent positive outcomes doesn't mean intensification CAN'T work, but shows more work (design and monitoring) is needed to ensure we succeed in our goals. See https://www.scidev.net/global/agriculture/news/intensified-farming-rarely-aids-wellbeing-environment.html for a blog on the subject. Smith et al. 2017 tackle an important question - how much of corn grown in the US is used for livestock, and where is it sourced from? It sounds simple, but is complex since lots of corn is used for ethanol but the leftovers ("distiller's grains") are still used for feed. Figure 3 is a fascinating map series showing where corn is grown to supply ethanol refineries, broiler chickens, hogs, and beef, and it gives you a sense of the supply chain complexity around corn. The authors find that only 59% of US corn is used by these four sectors, which makes me fairly certain that they're missing some livestock (e.g. this probably omits dairy and perhaps some poultry since typically ethanol + livestock are reported as using >80% of US corn). That 59% is made up of 25% for ethanol, 14% for beef, 12% for pork, and 8% for broilers. I need to dig into the data to verify but I'd guess poultry overall should be considerably higher. Regardless, this is a super interesting paper with some novel findings. Van Boeckel et al. 2017 looks at the role of antimicrobials in livestock production, and argues for reductions (whether through a policy capping levels used, reducing overall production of livestock and animal foods, or charging a fee on antimicrobials sold for use by nonhumans). They explore all three options and conclude that a mixture could be an effective way to reduce usage of antiomicrobials by livestock by up to 80%. Pelletier 2008 answers a question I've been hearing a lot lately - where are the biggest opportunities to improve the impact of poultry production? He finds that it's all about the feed - on average across multiple dimensions (energy, GHGs, water pollution, etc.) ~90% of impact comes from feed and ~10% from on-farm management (mostly heating and ventilation). Note that this study is limited to the US, and that they assumed all poultry litter had a net positive impact by displacing the use of synthetic fertilizer (which may not be valid everywhere). He finds that the animal fraction of poultry feed (especially poultry fat, poultry trimmings, and fishmeal) have much higher impact than the plant portion of the diet, indicating that unless the animal-based feed would otherwise be wasted, overall impact could be improved by shifting to a higher percentage of plant foods. If you've ever been to a hog farm, you likely noticed the smell. In addition to being unpleasant, it can cause air quality problems affecting both human health and GHGs. Maurer et al. 2017 was a pilot study to see if biochar could help. It didn't work very well. They found that the highest dose of biochar reduced ammonia emissions moderately but increased methane emission, with H2S (rotten egg smell) and N2O unaffected (and with lower doses having no significant effect). York et al. 2017 is an interesting look at two ways to reduce GHGs in smallholder dairy farms in India - anaerobic digesters and controlling Foot and Mouth Disease. The government has been paying to install digesters and vaccinate cows, but the authors argue that digesters are actually INCREASING emissions, while the simpler vaccination approach reduces emissions ~4-13%. The authors make a lot of assumptions I can't speak to the validity of, but the underlying ideas seem to be that the digesters leak, and that since the manure is managed as a solid anyway the avoidable emissions are relatively low to begin with. They note that where manure is managed as a liquid (e.g. in North India) digesters would make more sense. To me this is a good reminder that low-tech cheap solutions like avoiding waste and lost productivity should be looked at before jumping to more pricy high-tech solutions. Fun fact - my parents told me I had foot and mouth disease as a baby, but apparently it's a different virus than the one livestock gets. Crespi and Saitone 2018 is a bit esoteric - they look at the vertical integration of livestock in the US, comparing the beef industry to poultry and swine in particular. They dive into the specifics of different relationships between actors along the livestock supply chains, and why cattle haven't been as vertically integrated as other animals (longer life cycle, low relative cost of forage vs. farmed feed, spatial distribution of grazing lands vs. feedlots). They also note that the four largest beef packers in the US are moving away from integrated models. The primary relevance to conservation is that vertical integration makes it easier to drive changes in production through the entire supply chain (e.g. promoting conservation practices in growing feed or grazing). Crespi, J. M., & Saitone, T. L. (2018). Are Cattle Markets the Last Frontier? Vertical Coordination in Animal-Based Procurement Markets. Annual Review of Resource Economics, (June), 1–21. Poore, J., & Nemecek, T. (2018). Reducing food’s environmental impacts through producers and consumers. Science, 992(6392), 987–992. 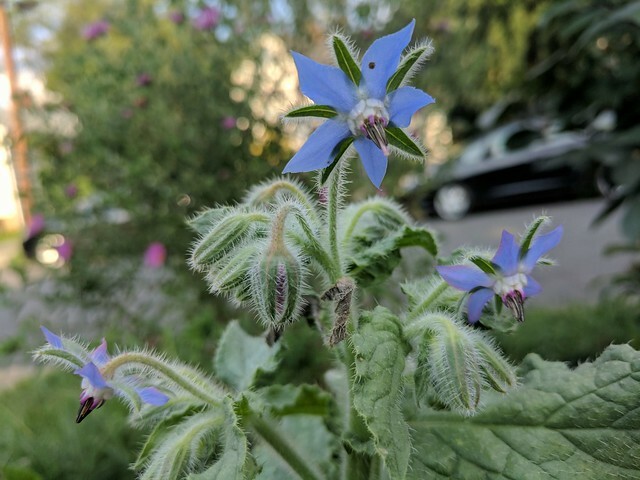 My garden is abuzz with bees and flies (the photo above is of a bee the size of a gnat), which has me thinking about pollinators and pesticides - the focus of this roundup. But I couldn't resist including one study on improving watershed-scale water quality via changing agriculture, as I've been gushing about it for years (hat tip to Steve Richter from TNC Wisconsin). Enjoy! If you want to receive these monthly summaries by email you can sign up at http://eepurl.com/diB0nr, and if you want an email anytime I post something on this blog you can subscribe using the form on the top right of this page. Carvin et al 2018 is a study I've been eagerly awaiting for years. It is a rigorous paired watershed study looking at the impact of a carefully targeted set of agricultural interventions, and is one of the first papers in the US to show we CAN improve water quality at a watershed scale (50 km2) through shifting ag. Initial work had found 9% of the area was contributing 40% of the phosphorous load, so the authors really targeted those heavy contributors. They found a 55% reduction in phosphorus runoff loads and suspended sediment event loads decreased by 52% for events during unfrozen soil conditions into the Pecatonica River tributary during storm events. This is big news as these outcomes have been elusive. However, this watershed was picked as one of the most likely to respond well, and those seeking to replicate these results should also carefully select their watersheds. Contact Steve Richter at TNC for more info. Klein et al. 2007 is a fantastic reference examining dependence on animal pollination across 115 major crop species (ignoring crops like corn which are entirely wind-pollinated). I mainly use Appendix 2, which for each crop lists how much it benefits from animal pollination (from entirely dependent on animal pollinators like cocoa or squash, to receiving almost no benefit) as well as listing the type of pollinator, pointing to references, etc. While the appendix is my favorite part, they also note in the main paper that a) non-insect pollinators (e.g. birds and bats) are less well studied and b) as agriculture intensifies wild pollinators are likely to decline. This means thinking about pollinator habitat in and around farms can be important for some crops, and the appendix can identify which ones are most likely to see more benefit. Garibaldi et al 2016 argue that improving pollination is an underappreciated need to close crop yield gaps. They found that yields on small farms (<2 ha) could be improved by 24% on average by boosting pollinator density. Strangely for larger farms, when polinator diversity was low, yields actually dropped with incresing pollinator density (when diversity was high, yields went up with pollinator density as expected). The authors don't explain why (or even accurately convey that finding in the text), which makes me wonder if the sample was too small. They did find that isolation from natural habitats was one of the most important predictors of crop yield. This calls attention to the need for more specific data on how restoring habitat could boost crop yields (including testing crops and regions likely to receive the most benefit). I recently wondered if camera traps and audio monitoring would work for pollinators, and Edwards et al. 2015 had a crafty idea that worked well: long-term time lapse video. 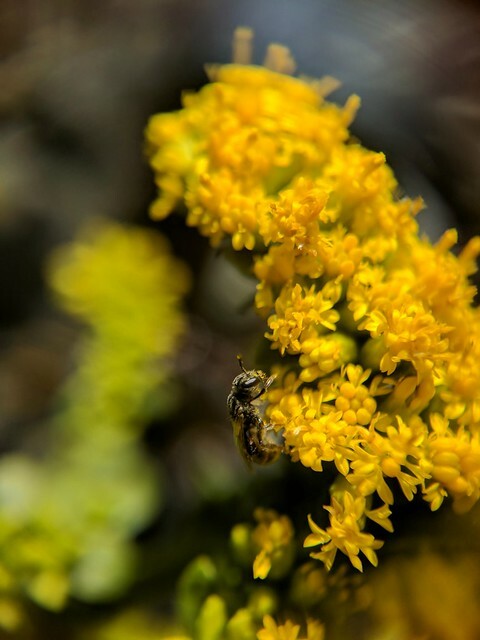 They looked at visits by pollinators to 30 different plant species, then focus on a species of dogwood and had nearly complete records for a given flower. Check out Figure 1 and 2, you can clearly not only see the rough type of pollinator, but even see pollination take place as florets within the inflorescence close (a cluster of flowers, for a dogwood this looks like 1 "flower"). The system is relatively cheap and simple, and perhaps the biggest obstacle to doing lots of this is the need to manually review each video to classify pollinators seen in each frame (an hour of footage plays in 1.75 minutes, but scoring takes longer). There's also a question of how many flowers of how many species you'd need to monitoring to get a sense of total pollinator activity on a given piece of land. Still a really cool setup worth keeping an eye on. I was recently surprised to hear that soybean can benefit from insect pollination (despite self-pollinating). Milfont et al. 2013 demonstrates this under field conditions (including typical pesticide application) in Brazil. They found wild pollinators may boost soy yields by 6%, and adding honeybees on top of wild pollinators raised yields 18%. They either caged plants to prevent access by pollinators, left them open (and did sampling for pollinators), or added honeybees nearby (without caging the bees to force pollination). The exciting thing is if even intense industrial soy gets a 6% boost, there is potential for soy with more careful pesticide application and more integrated pollinator habitat to do considerably better. Gill and O'Neal 2015 also looks at insect pollination of soy, but focusing on the pollinators in Iowa rather than crop yield. They did lots of sampling, collecting >5,000 individuals from >50 species. 29-38% of the bees they sampled had collected at least some soy pollen. Strangely, although honeybee colonies were present on or near the farms they studied, they found almost no honeybees in their traps. This again emphasizes the potential value of wild pollinators. 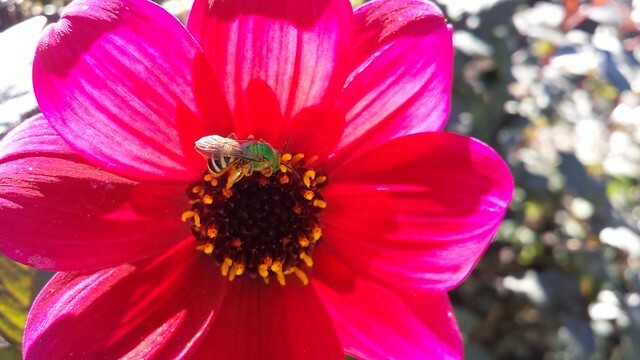 As an aside: the most common species of pollinator they found is one of the coolest kinds of bees I've ever seen (Agapostemon virescens, see the photo at the end of this email). Tooker et al 2017 tackles a hot topic - what role do neonicotinoid seed treatments (NST) have in integrated pest management? Many ag companies assert they fit in well, since they can reduce aerial sprays which would have higher impact. On the other hand, there are concerns about effects on nontarget species, potential for resistance, and universal prophylactic application as opposed to the usual IPM approach of deploying pesticides in response to a pest outbreak. They have some interesting findings. First, they find that NST mostly target relatively uncommon pests by using almost universal application more suited to severe pests. They also note that current use of NST on corn and soy is much higher than historic benchmarks, indicating NST is not simply displacing other pesticides. They conclude by noting that more careful use of neonics is likely to both retain their value for pest control longer (by slowing down resistance), and that the challenge in finding corn and soy seeds without NST should be addressed. Lechenet et al. 2017 looks at almost 1,000 farms in France, comparing farms with similar context to look at how the frequency of pesticide application relates to yield. They estimated that 3/4 of farms could reduce pesticide use without reducing yield or profit, and that on average for farms where they could get more specific, pesticide could be reduced on average by 42%. It's important to note they looked at correlations and predictions rather than empirically testing interventions, and they note that these reductions would likely be challenging for farmers. Nonetheless, the article shows the importance of evaluating pest control strategies and looking for ways to reduce pesticide use. I don't totally buy all of the conclusions of Bøhn and Lövei 2017, but they present some pretty interesting case studies. The basic theme is that a simple reductionist approach to pest control via GM-traits is unlikely to solve complex pest problems. They come out arguing that pesticides and transgenic traits are unlikely to be successful but also don't present clear alternatives. To me the interesting part of the paper is looking at the set of responses to a new transgenic plant (especially the surprises), and using that to think about what was missing and how we could build more robust pest control systems with more forethought and better design. Bueno et al. 2017 is a primer on integrated pest management (IPM) for soybeans in Brazil. They list key pests, provide recommendations for scouting / sampling methods, evaluate several control methods (viruses, natural predators / parasitoids, insecticides, etc.). 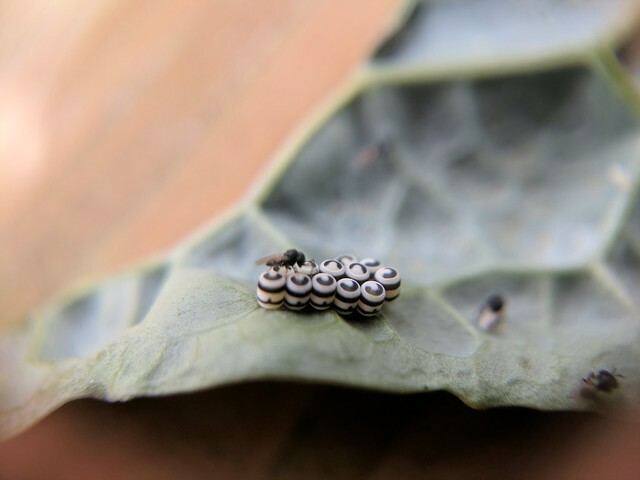 They also address how different pesticides impact natural enemies, finding that thiamethoxam harms natural enemies enough to actually allow pests to increase (although this is based on unpublished data, and appearing in a fairly low-quality journal, so it's an interesting thing to look into rather than a solid result). I see this article as a useful set of issues to consider for people working in this space. Edwards, J., Smith, G. P., & Mcentee, M. H. F. (2015). Long-term time-lapse video provides near complete records of floral visitation. Journal of Pollination Ecology, 16(13), 91–100. Over the last year I've been struck by how hard it can be for us all to move from good intentions to being able to act around issues of diversity. How can we all do our part to build a better place to work for everyone? One phrase I have heard again and again from men (including in my own head) is "I don't know what I can do." Here are a few tips on gender that I've heard in the conversations I've had during Engaging Across Difference (a 2.5 day diversity workshop at The Nature Conservancy) and some subsequent workshops I've been co-leading at my office. First and foremost, take the time to get better educated and prepared to act. For TNC staff, Engaging Across Difference is a fantastic workshop that will provide the tools necessary to work more effectively across differences. Challenge yourself to read books or articles, or watch movies / videos that can expand your perspective on gender. Let me know if you want some suggestions. You may want to set yourself a monthly reminder to keep yourself honest. Through hearing stories, you will likely be surprised how differently women often experience the workplace compared to men, and how much experiences vary among women. Next, ask your friends and colleagues about their experiences as women. When have they felt possible gender bias or uncomfortable due to gender, especially at work? What, if anything, do they wish was different at work? It could be systemic (policies) or individual (what people do). Take the time to truly listen, ask questions, and thank them for being honest (even if it's difficult). Remember that the goal is just to listen and understand – to hear and validate their experiences, and that to work you need a foundation of trust and authentic curiosity. Everyone I have spoken to has emphasized that they want to be engaged as an individual, not lumped in with others based on characteristics, so don't just do this with one person and assume it will apply to others! Third, if you're able to do so with an open mind, you can ask your colleagues specifically for ideas about how you can be a better ally. That can include making yourself available for support and discussion in the future, or talking about situations to watch out for in the future (e.g. I've had a few women request that when they get interrupted in meetings, I should say something like "hold on, I want to hear what ___ had to say"). Whatever feedback you get, thank them for their honesty, take time to reflect about it, and ask questions seeking to understand (but not to agree / disagree / fix). It's important to realize that even when our intent is good, we can still have a negative impact on others without meaning to. I plan to do this for the upcoming annual review cycle, and welcome input from anyone reading this. Finally, and this one is likely the hardest: speak up when you see problematic behavior (even when it feels awkward, which it almost always will). If you notice the youngest woman in the room is often asked to take notes despite having a similar position to others, volunteer to take them yourself or ask for other volunteers. If someone makes a sexist joke, call it out. You can do this in a lighthearted way so that you are diffusing tension and still setting a positive example (Active Bystander training has ideas), and if it feels best you can do it 1:1 after the fact. Emphasize your positive intent, and that you're trying to alert them to unintended impacts of their behavior rather than criticizing them. I have found that I struggle the most to speak up in a group of all men, but in a way, this is the most important time to do so. It sets norms of what gets men a high five and laughs, and what gets a more awkward and critical response. If that sounds too abstract, here are a few examples of how you can speak up that I've seen work well. Especially for people who are probably clueless why their behavior is problematic, you can talk to them one on one and say something like "I know you're a nice person and wouldn't want to make anyone uncomfortable, so I wanted to share with you that what you said could be hurtful." If they don't buy it, you can share examples of when people have mentioned how similar behavior made them feel. Another is when a group of men is going on about how hot an athlete / actress / colleague is, you could say something like "When can we start valuing women for their accomplishments and not just their looks? This woman is an amazing athlete, can't we talk about that?" Finally, for low-grade clueless and inappropriate behavior I sometimes just say "Wow, gross!" or "What's wrong with you?" in a semi-joking tone (but if they don't let it drop, I make it clear it's uncool). If you only take one thing away from this- take the time to actively listen with a real sense of curiosity and a desire to improve. While this blog was written about gender, I've heard the same themes consistently in discussions on race, sexual orientation, and other related topics. I'm still surprised sometimes when my wife calls me out on something I've done (or not done), but that just means I'll keep learning (she also helped to make this blog better). The fear of looking ignorant by asking questions is the biggest enemy we have to learning how to support each other better. 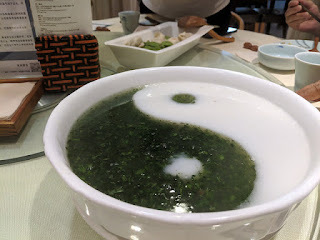 Most of this summary was written on a red-eye flight to China, so apologies if it makes even less sense than usual, and please let me know if you spot errors or omissions! There's some focus on habitat conversion, but I threw in two water quality papers, plus one each on grazing and soil C, and one on knowledge diffusion. Nevle & Bird 2008 is grim but fascinating. They find a connection between seemingly unrelated factors: global CO2 levels and pandemics among indigenous people in the Americas brought on by European contact. They link the population crash to a reduction in burning of forests for swidden agriculture, subsequent forest regrowth storing ~5-10 Gt carbon, and argue this is a likely contributor to a small measured reduction in global atmospheric CO2 at the same time. It's more of an interesting hypothesis with data which is consistent than real 'proof' but it's still a fascinating (if depressing) read. OK, you know food choices matter for habitat conversion, and several alternatives to conventional meat are 'hot' right now. But what protein source has the most promise for sustainability? Alexander 2017 has some answers. They look at a few categories: insects (crickets and mealworms), plant-based imitation meats (they looked at humble tofu rather than newer products like the 'bloody' impossible burger), cultured meat (real meat from animal cells grown in a lab), and aquaculture. Fig 1 has the results on efficiency - tofu came out on top (if you find it gross, let me know, preparation is key and rarely done right in the US), followed by bugs. Cultured meat didn't have much edge over pork and poultry. Table 2 then shows what the global impact on land use would be under different diet change scenarios (including odd ones like replacing 50% of current animal products with beef, doubling the ag footprint on earth). While insects came out as less efficient than plant foods, that could change if we found ways to use food waste for a significant portion of the insect feed. Chaplin-Kramer 2015 asks how much it matters which lands get deforested in terms of impact on carbon storage and biodiversity. They look at two regions of Brazil and find where conversion happens affects its impact by a factor of 2-4, which conversion deep inside forests more harmful than nibbling away at the edges (although they note that their modelling scenarios use patterns different from what is typically seen in the real world). The discussion has some good points about how development of roads into new regions will likely have a higher impact than investment in infrastructure around existing agricultural lands. Tyukavina et al 2017 has details on deforestation and forest degradation in the Brazilian Amazon since 2000. Figure 2A is my favorite - it conveys both the reduction in overall tree cover loss since a 2004 peak, and also the shift in what the land was cleared for. Pasture is consistently the biggest chunk, followed by swidden (small scale slash & burn) and then permanent croplands. There's lots of other interesting data here but that figure was the high point for me. Wright et al 2017 uses a recent high-quality data set on conversion of natural habitat to / from farmland to show that there is a correlation between how much habitat was converted to farmland and how close the land is to the nearest ethanol refinery. While this study didn't correct for other factors, they point to another study which did and still found refinery proximity to be significant with conversion. The ability of refineries to stimulate conversion were highest where corn acreage was low to start. See http://wxpr.org/post/study-links-ethanol-production-habitat-destruction for a blog post aobut this one. Kastens et al 2017 uses remote sensing data to look at conversion of forests in Brazil to soy farmland. The key finding is that the forest to soy conversion rate was cut in half after the 2006 soy moratorium. You can see the shift in Figure 5 by noting the change in the slope of the green line, but the abrupt difference right after the moratorium is more apparent in table 3. Hansen et al 2018 is a cool paper using empirical data to test how effective wetlands in the Minnesota River basin are at reducing nitrates in an ag landscape compared to cover crops and land retirement. They compared river water quality at ~200 sites under different flow conditions to high-resolution data on wetlands and land use to map correlations (they didn't get at true causation). They found wetlands were 5 times more effective per unit area at removing nitrates compared to cover crops and land retirement (although it's much harder to make a business case to a farmer around wetland creation). They also found wetlands strategically placed to intercept as much flow as possible were much more effective (see Fig 4 - the concept is obvious but the numbers are interesting). All these findings align well with prior work emphasizing the critical role of well-placed wetlands to improve water quality. If you read this paper watch out for the term "crop cover" (% of a given site area used to grow crops) as opposed to "cover crops" (presence of an additional crop on farmland that would otherwise be fallow for part of the year), as they're not super clear how they use the two terms. Another potentially important tool to improve water quality can be controlled drainage aka "drainage water management" or DWM for short. The basic idea is that for cropland with 'tile drains' the nutrient-laden water can be stored and later reapplied to the field. Ross et al 2016 (led by several TNC colleagues) looked at both how effective DWM was on average in reducing the flow of water, N, and P from tile drained landscapes (they were all cut roughly in half), and identified what tended to make DWM work best. DWM performed better at higher fertilizer rates, when aggressively managed during the non-growing season, and there's a lot more evidence on N than P. Possible caveats: DWM can increase surface flow (and potentially erosion) as well as increase N2O by keeping fields wetter depending on how it's done. Naverette 2016 (led by TNC's Diego Naverette) is another paper showing that we need different grazing strategies in temperate and tropical climates. There is considerable interest in temperate regions about the potential for high-intensity rotational grazing to improve soil carbon sequestration under some conditions. But this paper found in their study area (part of Colombia / Brazil / Peru), conversion from forest to grazing lands at intensities >1 head per ha led to soil carbon declining by 20% on average after 20 years, while conversion from forest to low-intensity grazing lands (<1 head / ha) actually led to a 40% increase! It's important to note rather than looking at individual pastures, the study looked at one "high intensity" region and one "low intensity region," so it's not controlling for soil type or other variables. Also note that the low intensity region includes a lot of abandoned pasture land which was regrowing with trees and shrubs, and questions of 'land sparing' by intensive grazing were not addressed. But this is useful baseline data we can use to evaluate the contribution of silvopastoral systems. Kastens, J. H., Brown, J. C., Coutinho, A. C., & Esquerdo, D. M. (2017). Soy moratorium impacts on soybean and deforestation dynamics in Mato Grosso , Brazil, 1–21. Wright, C. K., Larson, B., Lark, T. J., & Gibbs, H. K. (n.d.). Recent grassland losses are concentrated around U . S . ethanol refineries, 44001. Recently I haven't had time to do much of the scientific analysis to figure out what "green living" practices are the most important. But I was recently asked by our marketing department to help design a simple guide to some of the most important things people can do, and here's the guide we came up with. The idea is to have a mix of some things that are high-impact but take some work (like flying less and eating more plant-based meals), and some easy ones that matter more than you'd expect (caulking gaps around your windows, finding and avoiding power-wasters at home). Feedback and comments welcome! You can find the guide at http://green.sciencejon.com which is free but requires you to fill out a form to download it. There's another paper out from the study of how Conservation by Design (CbD) 2.0 spread through TNC and beyond. This paper (led by Yuta Masuda, I'm a co-author) focuses on "boundary spanners" - people with informal connections across departments / geography. These “boundary spanners” are four times more likely to spread information about “innovations” (here that means info about CbD 2.0) and to drive changes in attitude that encourage adoption. However, their advantage in spreading info only exists when they have <4 direct reports and are relatively low in the organizational hierarchy (counting levels of who reports to their direct reports etc. etc.). Farming is really hard! Cover crops (which cover farms after the primary crop is harvested) can offer benefits to both farmers and nature, but incorporating them is hard too. 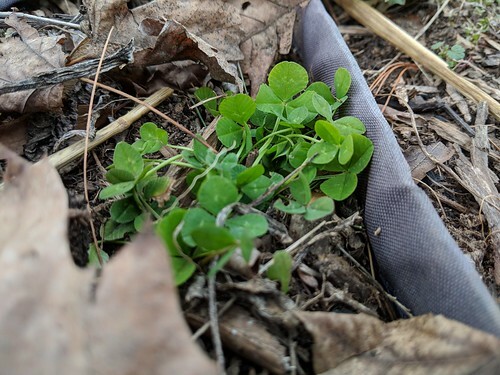 The photo above is the biggest patch of my attempted red clover cover crop in my tiny garden. So to get ready for the coming year, I've focused on several articles about cover crops, plus one new giant study on improving agriculture in China. Let me know if you need a copy of any of the articles below. Cui et al 2018 reports on the results of an ambitious study that worked with 21 million farmers (!) of maize, rice, and wheat over 10 years. China currently has some of the least efficient farms in the world, presenting a huge need to improve. This study used a soil & crop management framework that resulted in ~11% improved yield while reducing N application by ~16% (and reactive N losses by ~25%), and GHGs by 14-22% depending on crop. The scale is impressive: altogether they influenced 37.7 million ha. Interestingly, extension staff impacted over 10 times the area per staff person (471 ha / person) compared to agribusiness partners (see Fig 2). Regardless, this is good news in showing that it's possible to achieve "win-win" outcomes at scale even with smallholders. On the other hand, nitrogen efficiency is so poor in China, that much larger changes are needed to bring them in line with world averages, let alone truly sustainable targets (highlighting that policy changes are likely needed as well). Fig 1 has a great breakdown of impacts by crop and region. Why don't more farmers use cover crops? Roesch-McNally et al. 2017 asked them: what are the barriers, and how do cover crop users overcome them? Cover crops add complexity at very busy times for farmers, which is a key issue. They report concern about having time to plant cover crops in fall, and time to terminate them in spring without impacting cash crop planting. Lack of markets and equipment, narrow profits margins, and prevalence of rented land were also limiting. Farmers who overcame these barriers generally saw their farm as a "whole system" and were willing to experiment and modify other practices (e.g. tillage and fertilization). The authors wrap up by exploring several policy interventions (cost-sharing, new markets, promoting crop / livestock systems, and economic incentives). Bergtold et al. 2017 dive more into the economic aspect of cover crops in Kansas (direct costs, indirect & opportunity costs, direct & indirect benefits, risk & crop insurance, and policy incentives). They find that on average cover crops will net farmers $7.04/ac on irrigated land, but cost them $28/ac on dryland (potentially $20/ac under less conservative assumptions). That difference is driven mainly by lower yields in drylands reducing the opportunity for a % boost in yield to add up to much. They honestly don't explain the rationale behind their calculations very well, so I wouldn't put too much stock in those specific numbers for net costs (and see Baschle below for different findings), but it's a useful reference for thinking through types of costs and benefits. It's long but even skimming the section headings will likely be informative. Snapp et al. 2005 is a thoughtful review of cover crop benefits and costs, adding a key factor often overlooked. Different cover crops perform very differently in different contexts! The authors break down cover crop performance into USDA Hardiness Zone categories, and summer and winter crops. The whole article is a good resource, but I hadn't heard much about summer cover crops so was intrigued to read about their use to rehabilitate fields with poor performance. The main options were sorghum sudangrass and alfalfa in the north (although mixed grass-legume systems also show potential) and in the south sudangrass and a range of legumes (including pigeon pea, cowpea, and sunn hemp). This all reinforces the idea that cover crop selection is complicated and that a one size fits all approach won't work well. Wilcoxen et al. 2018 (which includes TNC's Jeff Walk as a co-author) looks at a rarely studied aspect of cover crops: how do they impact birds? For both corn and soy, cover crops improved bird habitat / bird density. It's a small study and most fields were cereal rye, but their data seem to indicate the tall grass of rye was especially attractive. The authors note that terminating cover crops later would likely benefit birds, although as noted in the studies above that can prove challenging for farmers. Basche et al. 2016 looks at how winter rye in the Midwestern US affects soil water capacity. The water paper asks whether cover crops reduce or improve water available for cash crops. They found the cover crop generally boosted plant water available to cash crops by ~21%, but did not impact crop yield (even during drought). At the end of p9 they have suggestions on how to manage cover crops to avoid water competition (e.g. terminate them early in dry years). While not restricted to cover crops, Basche 2017 looks at how much different crop & grazing practices can affect water infiltration. Some of the recommendations aren't terribly practical currently, but Figure 3 shows which practices most consistently improve infiltration as a %, and Figure 4 shows which ones can lead to an absolute increase in infiltration of 1 inch during heavy rain storms. Cover crops were found to improve infiltration ~20-50%, and in about 1/3 of the studies that led to absorbing >1 inch of rain during heavy rain storms. Woodard & Verteramo-Chiu look at how much better the Federal Crop Insurance Program (FCIP) could perform if it used soil data to establish rates and coverage. In other words, how could FCIP incentivize soil health practices that would reduce risks and costs of the program, while avoiding perverse incentives (e.g. in the past crop insurance was not available to farmers using cover crops). It's a fairly wonky economics paper, but they make a good case for much errors and bias exist in the current program. The key finding is that farms with high-quality soils are generally overpaying, and low-quality farms are underpaying. See Fig 3 for an example of how strong the pricing erors are (up to a factor of 6). By accounting for soils data (and perhaps current practices), this program could be an important driver to get farmers to start rebuilding healthier soils to keep premiums low. They focus on top corn producing states where soil quality is relatively homogeneous; benefits of accounting for soil should be higher in regions with more varied soil. With predicted volatility from climate change, improving crop insurance will be increasingly important.